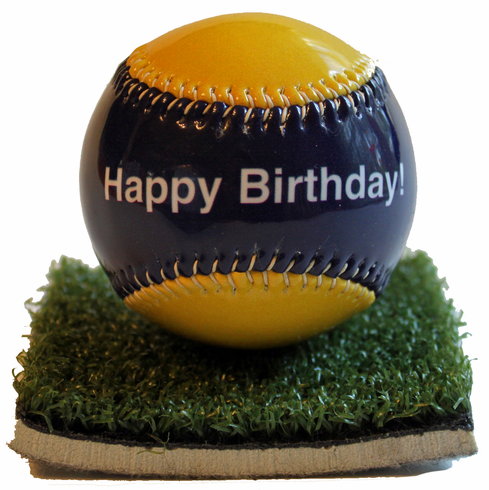 These handmade, standard size baseballs feature "Happy Birthday!" in white on a dark blue gloss panel and "The trick is growing up without growing old." in white on a yellow gloss panel on the other side of the baseball. Each baseball comes in clear gift box with turf base stand.